Expression Pedal: Set the expression pedal to the heel down position, then adjust the knobs to your preferred setting. Sweep the pedal to the toe position and set the knobs to a different setting. Now the Space Race will allow you to seamlessly morph between the two settings! Foot Switch: The Neo Footswitch (sold separately) allows for preset select or ramp morph control - all with LED indication. 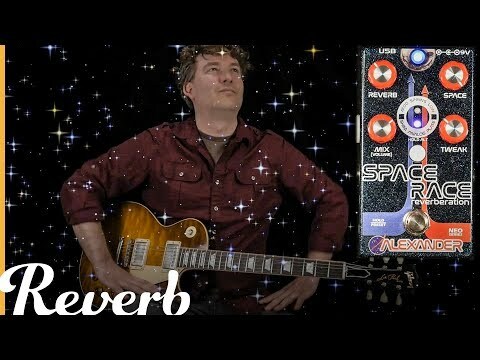 The Space Race will also work with a standard tap tempo footswitch.